Whether you’ve decided that it’s time to replace the older furnace or a repair technician has evaluated your furnace and given you a cost estimate that has you thinking about a replacement, our award-winning heating company is always happy to help. One of our highly trained, experienced home heating specialists will come to your house at your convenience, evaluate your heating requirements and help you compare a wide range of brands and models. There’s no charge for this service, and you’re under no obligation to have us supply and install your new system. Our accurate, complete cost estimates are always competitive in price, and our A+ Better Business Bureau rating means that if you choose us, we’ll show you how we make complete customer satisfaction our highest priority. One call to our Minneapolis locally owned and operated heating and air conditioning company gives you access to a wide range of furnace brands and prices, including Carrier, Goodman, Lennox, Tempstar and Payne, along with something you may not find with some companies: Complete dedication to your satisfaction. You’ll never get a high-pressure sales pitch from our representatives. Instead, we’ll show you every possible option for your new furnace, answer all of your questions, and provide you with accurate, all-inclusive cost estimates for your furnace and its installation. We’ll make sure that you have all of the information you need to make the best choice for your home and budget, and then leave the decisions up to you. 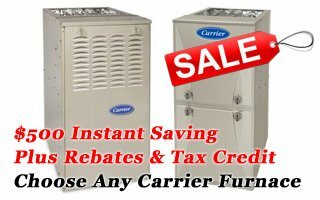 Call us today to get started, and we’ll show you why were the most trusted name in home heating and air conditioning.